The past week has left me so stressed out, what with having to deal with my research (for my masters) and Kofi’s chronic dermatitis. Good thing I had a bit of free time to spend on relearning how to cut and stitch leather— skills I have put aside for the past 12 years. The whole process relaxes me. I’ve turned my brother’s room into a studio recently (don’t worry, he’s moved out and has been living independently for a couple of years now). I have bought new tools and materials because I am seriously considering producing notebooks and small leather goods on a regular basis. I really do hope I will not lose the fire, so to speak. Hopefully, my coin purses and power cord organizers will be available in my online shop soon! Meanwhile, I received wonderful news in my inbox recently. Some weeks ago, a reader has nominated A Dose of Simple in the Philippine Blogging Awards or the Bloggys. 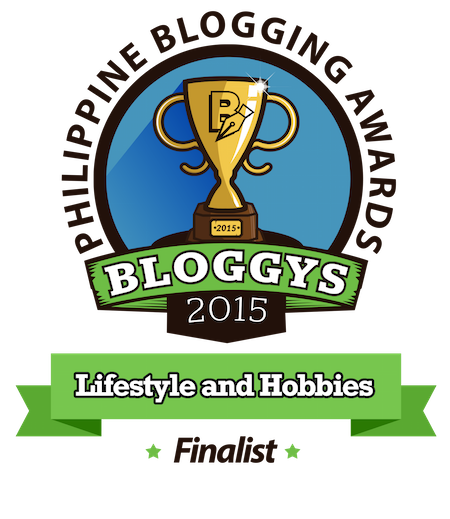 Last Thursday, I found out that this blog is actually a finalist in the Lifestyle/Hobby Category! Can you imagine?! I am actually competing with some really great blogs. (See the list here.) It would be fantastic if I win but (and I’m not being a hypocrite here) being a finalist is already a huge accomplishment. Unfortunately, I won’t be able to attend the Gala Night because I’ve gone home to my Little Cottage by the Sea. I do hope everyone will have a great time on the 21st. As for me, I’m keeping my fingers crossed. Wish me luck!